If you Knoxville home for sale has spent a month or two on the market, chances are you’re probably frustrated. Here are 3 things to do if your Knoxville home for sale hasn’t sold after a few months on the market. When it comes to selling a Knoxville home for sale, price is a big deal. Some buyers will not even be willing to look at a home that they feel is overpriced, let alone consider making an offer on it. If you have had little or no showings on your Knoxville home for sale, it may be time to consider doing a reality check on the price of your home. Consider sitting down again with your agent and see what homes are currently for sale in your price range and what has recently sold in the area. This can give you a realistic idea of what the competition is and you can set a realistic price from there. A fresh coat of paint and a good carpet cleaning can go a long way for buyers. If your Knoxville home has been on the market for a few months and you haven’t gotten any offers, consider doing some easy upgrades to make your home more move in ready. Even if you don’t want to repaint your whole house, touching up paint can make things appear fresher. Depending on your situation, you may or may not have more time to wait and see if your Knoxville home sells. Are you in a situation where your just need to get rid of the house? Or, do you have time to wait things out? Consider what options your may have and from there determine a plan of action. 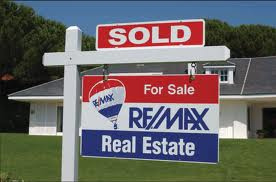 Are you thinking about selling your Knoxville home? If so, please do not hesitate to give Knoxville Home Team a call. Rick can be contacted at 865-696-1888 or via email at Rick@KnoxvilleHomeTeam.Com. Kati can be contacted at 865-392-5880 or via email at Kati@KnoxvilleHomeTeam.Com. Contact us today for your FREE Knoxville Home Valuation.